I often remind my seven-year-old daughter, Indigo, that we should act like monkeys. By aligning to ancient mammalian patterns, we allow ourselves to feel great in our bodies at any age. As diurnal mammals, we should eat locally and seasonally, sleep when it gets dark, move upon arising, and drink water as our primary beverage. But often we don’t—mostly because we don’t have the tools to do so. So I try to teach Indy the tools and wellness strategies I’ve learned from Ayurveda and yoga. One of the most basic tools is a seasonal detox. 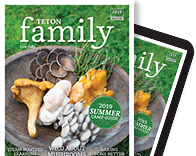 During the seasonal junctures of spring and autumn, a natural invitation occurs, calling on us to detox our bodies, minds, emotions, relationships, and habits so that we can embark on the next season refreshed and with less baggage to haul around. If we don’t accept this invitation, we are likely to experience symptoms of seasonal aggravation, such as allergies, colds, flus, infections, weight issues, and autoimmune symptoms. Now, detoxing can be ugly, scary, and difficult. So let’s first make it clear that fasting and cleansing are not the same thing. 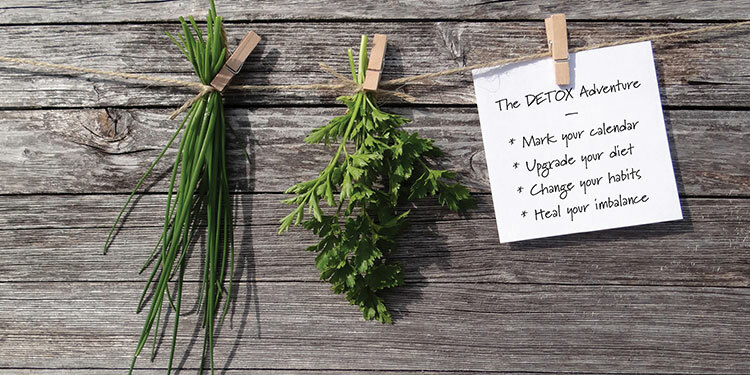 The idea of a seasonal detox, or cleanse—especially for those who are new to the game—is to implement the most basic changes for a pivotal impact. For many, this means selecting a period of time (seven to fourteen days) to eat mostly green smoothies, soups, salads, and roasted vegetables while going to bed early, taking walks upon arising, and having only water between meals. If that’s too drastic, then scale it back while keeping with the basic principles. Remember those Choose Your Own Adventure books from the 1980s? You read the beginning of an enticing story and then you choose where to go next by selecting from options in the footer. Do you say “yes” to the pretty princess who wants to lead you down the trail, or do you say “no” and meander down the other path on your own? A spring cleanse is a “choose your own adventure” experience. Why do a spring cleanse or home detox anyway? You like your body and want it to become healthier, stronger, and in harmony as you age. You want to start liking your body more. You have joint pain or inflammation. You crave junk food, caffeine, alcohol, or other addictive substances. You want to turn over a new leaf, physically, mentally, or emotionally. You’re interested in waking up and stepping into your potential. I hope you circled No. 1 and No. 7. If you circled any other numbers, please know that cleansing is an easy opportunity to feel better. Simple. Free. Grounded. That is both the path and the end result of a detox. To cleanse, you must simplify your menu and your life. This includes going to bed earlier, having more quiet time throughout your day, and drinking and eating a simple-to-digest diet that includes mostly liquid. The return to simplicity enables the body and mind to cleanse. Without simplicity—more time and space in your life—cleansing cannot occur. Digestion detoxes us. Different than elimination, accumulated stuff that our body doesn’t want is actually digested during a detox. Basically, when you put less in, your digestive fire burns up what the body no longer needs but hasn’t had a chance to incinerate. The theory on detoxing is simple: 1. Consume a baseline amount of nutrients that are easy to assimilate; 2. Take in a baseline amount of experiences through your other senses. The body will do the rest. I’ve seen people jump into a ten-day spicy lemonade cleanse that begins with drinking a quart of salt water each morning to flush their gut and bowels. They lose ten to twenty pounds and feel great! And then they rebound. I’ve found you always learn something from a cleanse … even if it’s not the lesson you set out to learn. First, look at your calendar. Detoxing during a busy week sets you up for an uncomfortable journey. When you detox, your body uses its available energy to clean house; there isn’t much left to handle stress. If you don’t have a stress-free week, I don’t recommend a detox. But if you do have time in your schedule, block off five to seven days. During the cleanse, we want to eat the best nutrients in precise amounts, allowing our body to take out the trash and start cleaning up the place. Removing caffeine, sugar, alcohol, and processed foods all at once can shock your emotional and physical body. The cold-turkey approach to detoxing usually leads to a rebound—rendering the entire process ineffective and stressful. Let’s not do that. Instead, be honest with yourself. Do you really want to quit caffeine or just cut back? If you want to cut back, switch to decaf or green tea for a week. If you want to get off processed foods, start eating more leafy greens and roots at each meal. Prep celery, carrots, and zucchini sticks to have real nutrients at your fingertips for snacking. In general, a liquid diet is the easiest to assimilate and, therefore, frees up the most digestive fire for housekeeping. Breakfast can be a quart of green juice and chia porridge, a green smoothie, or a simple grain or lentil soup (if you thrive on protein, opt for the soup). Lunch may look exactly the same. And dinner may be a simple cooked or raw vegetable soup. We all have habits that are hard to break. Some of these habits are really good for us, and some are evil and sabotage our energy, our emotions, and our health. Work on adding simple habits and edge out the most dangerous ones in your day-to-day life. In Ayurveda, we categorize imbalances according to the dominant energy at their root cause. We heal imbalances by making choices that generate the opposite energy of the imbalanced one. For example, if you’re hot, choose something cold. If you’re dry, choose something oily. For the “choose your own adventure” experience, we want to build a cleansing process that heals our personal imbalances. If you’re prone to anxiety, use your detox to get grounded. Lean toward a cooked-food version (stews or soups) of the liquid diet. Build in simple, nurturing routines, such as walking for exercise, sitting to eat meals, giving yourself deep-breathing breaks, and going to bed early. If you’re prone to irritation, you may have excess acidity in your system. 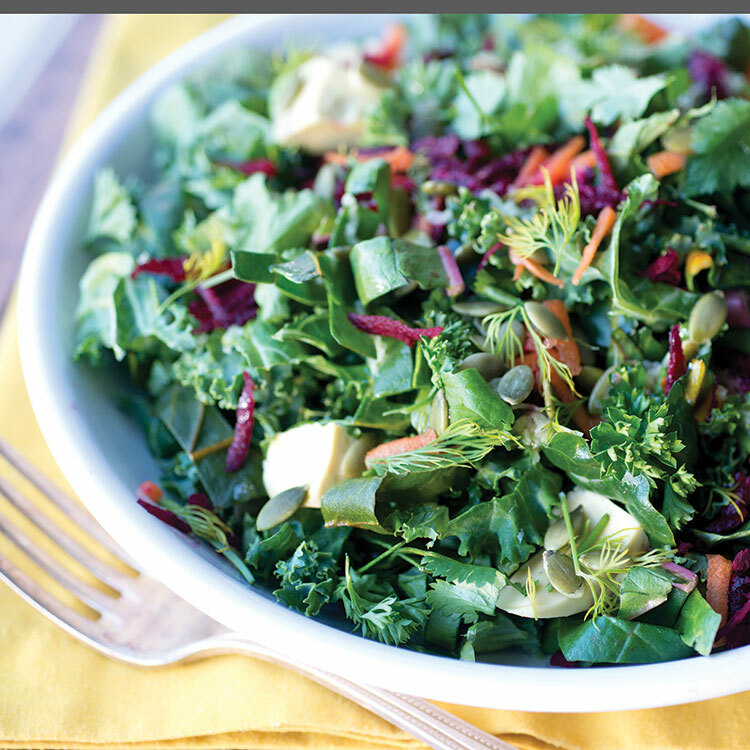 Choose a detox high in leafy greens. You may also need more protein than most; feeling starved may make you more irritated. 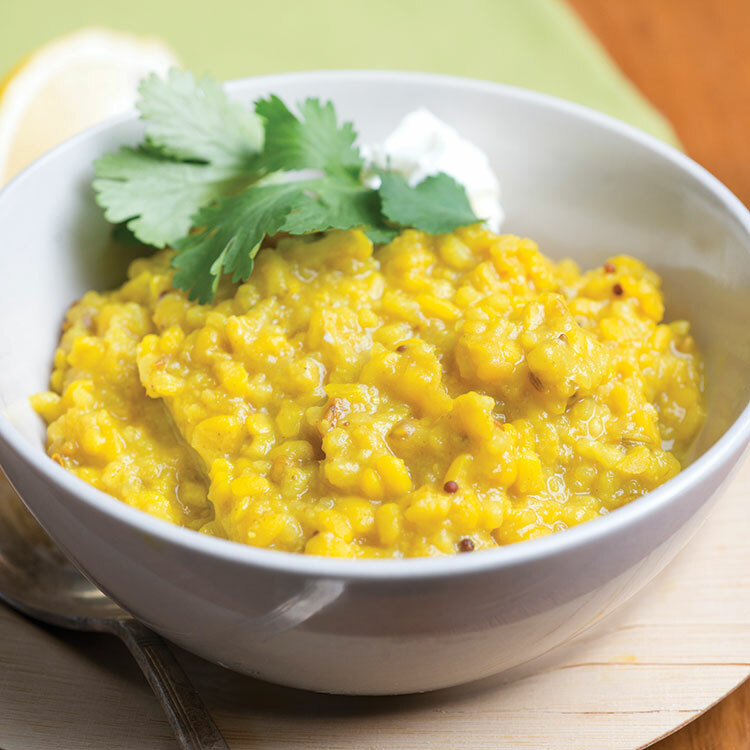 Make lentil soups or kitchari (see recipe). Slow yourself down, spend time watching clouds, and book a massage to help you relax and release. If you’re prone toward mucus, congestion, and sadness, your system may be too dense. Help your body burn up mucus by spicing your green juice or smoothie with ginger root and mustard greens. Or choose a spicy lemonade diet (Master Cleanse) for a week. You can also use spicy broths and vegetarian stews if you need more mass in your belly. This is where the rubber meets the road. If you’ve stayed in pace with your schedule and your needs, you should glide right out. The habits you’ve cultivated—a daily walk or sit, drinking green tea instead of coffee, etc.—should keep going. Cleansing is a potent event in our lives that allows a space for deep and lasting changes. In general, the point of cleansing isn’t to starve yourself; it is to cut out the crap (whatever your current version of that may be) and usher in the next-best version of YOU. By doing so, you’ll instill a natural craving for a clean and local summer diet of fresh foods. Design a detox you will enjoy. 1. Wash mung beans and rice until the water runs clean. 2. Soak rice and beans overnight, if possible. 3. Heat a large pot on medium heat. Melt the ghee. 4. Add all the spices (except the bay leaves) and roast for a few minutes. 5. Add dal and rice and stir. 6. Add water and bay leaves and bring to a boil. 7. Boil for 15 minutes on medium heat. Then turn heat to low, cover pot, and cook until beans and rice become soft (30 to 40 minutes). 8. Add salt, Bragg, and pepper to taste. Garnish with cilantro, lemon, or yogurt. 9. Add more water when you reheat it later in the day. Prepare the salad at least 30 minutes before eating, or make it in the morning for lunch or dinner. Wash and thinly slice the greens. Combine with add-ons. 2. Whisk together lemon juice, olive oil, sea salt, and garlic or ginger root. 3. Pour dressing over the mixture. 4. Let marinate for at least 30 minutes. For more information and recipes, visit yogahealer.com.